You can always import your Tessitura lists as CSV files. This is a useful workaround if your WordFly-Tessitura integration is down for any reason. WordFly will send email response data back to Tessitura as long as the list was promoted in Tessitura and includes customer number, source number, and download number in the list data. Select an Appeal for the Extraction. Check the TMS box for the Extraction. Run the Extract Constituent step as usual. In the Extract Constituent step, check Create Promotions Now. This step promotes the list in Tessitura and ensures that email response data such as opens, clicks and opt-outs are sent back to Tessitura. Find the Extraction file in your TMS_Extraction_Pickup / TMS_Extraction_Output folder which you'll find defined in T_Defaults. This will be a TM1 file and it will have the download number as part of the name (example, DL153.TM1). You may need to work with your database administrator if you don't have access to the Extraction folder. You can open the file in a service such as Atom or Notepad ++. Right-click to view programs you can use to open the file. Copy the contents of the file into an Excel CSV workbook. Adjust the contents so that the first row is your column names and subscriber data rows aligned below the first row of column names. Save your file as a CSV file type (MS-DOS Comma Separated is best). Note: If you're a MAC user, you should see a message asking you to save the file as a "windows comma separated" or "MS-DOS Comma Separated". 5. 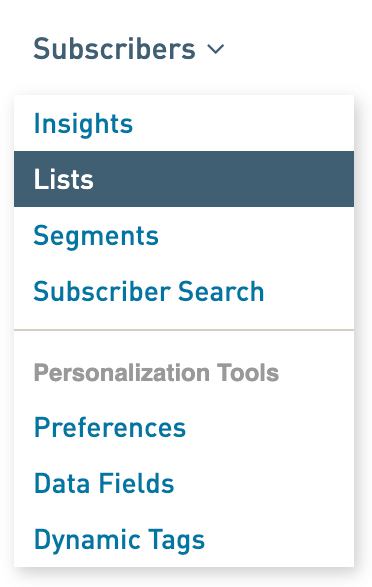 Map your list fields to corresponding data fields in WordFly.